The Amarillo Police Department received information from a citizen on a scam that was attempted on her. 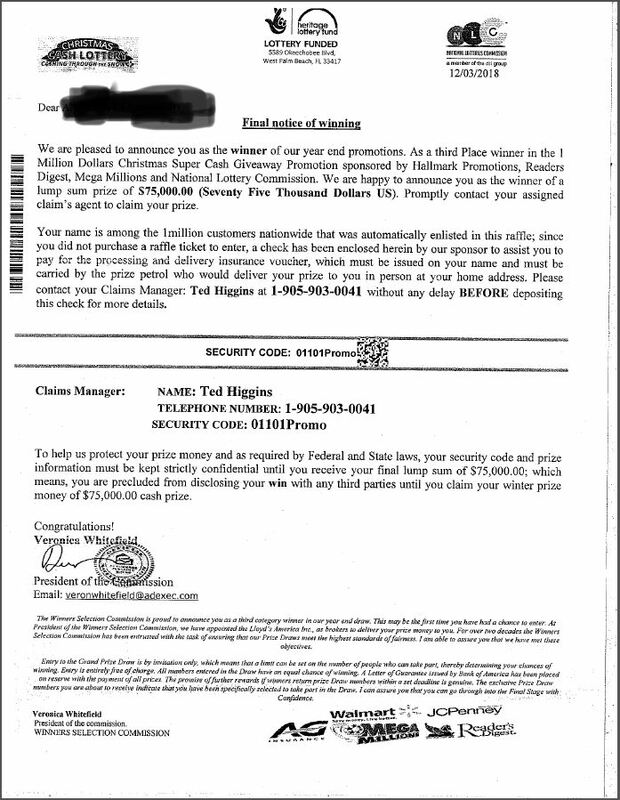 The citizen realized it was a scam and did not lose any money. Please remember that you cannot win a sweepstakes that you did not enter. And if it sounds too good to be true, it's not true. Please contact the APD Crime Prevention unit at 806-378-4257 if you have any questions.